LEXINGTON, Ky. (Nov. 7, 2018) — In recognition of the national Transgender Week of Awareness, the University of Kentucky’s Office of LGBTQ* Resources has created an event for the entire campus. “Transgender Week of Awareness is not just for transgender, non-binary or gender non-conforming individuals. It’s for everybody,” confirmed Rayne Parker, assistant director in the UK Office of LGBTQ* Resources. The annual Transgender Week of Awareness offers an opportunity to highlight the spectrum of experiences transgender individuals encounter and get a better understanding of the spectrum of gender identity and expression. 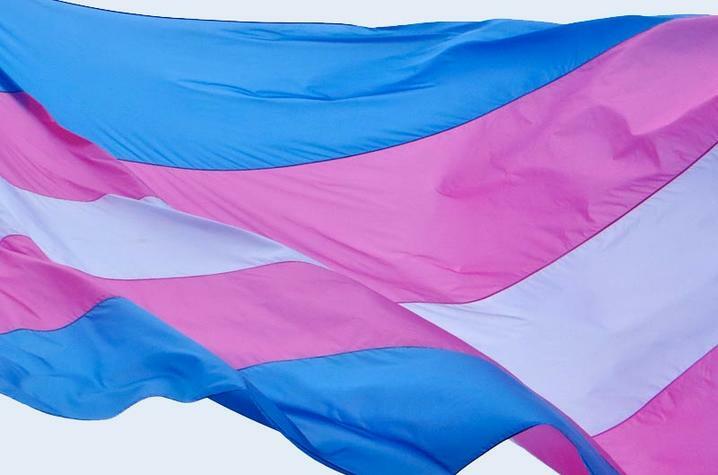 UK’s Transgender Week of Awareness is an opportunity for individuals just learning about transgender, non-binary and gender non-conforming individuals to gather information as well as a chance for those already aware to further their knowledge. The week both celebrates individuals and their experiences, but also makes space to acknowledge the disproportionate violence and discrimination against transgender individuals. Organizers hope that following Transgender Week of Awareness, people continue to seek information, build community and advocate for themselves and others. The Office of LGBTQ* Resources offers services, informational experiences, events and place for community year-round. There are also several student and community organizations. Visit the Office of LGBTQ* Resources’ table during the National Hunger and Homelessness Awareness Week event. Receive a collectable flyer and learn more about the office’s initiatives and services. A workshop on the diversity of gender identity, pronouns and their use, as well as strategies of support. Leave with a button to show your support. This workshop is led by interns in the Office of LGBTQ* Resources. This session is a brief introduction to the Green Dot Bystander Intervention strategy. Participants will explore their own connection to violence and violence prevention while learning about the importance of being an active bystander and different strategies they can use to make it less likely that someone will experience violence. Snacks provided. A 30-minute presentation on UK's Collegiate Recovery Community, ways to eliminate the stigma, and how to become an ally in recovery from addiction. Open to all. Food provided. A discussion on trans individuals and activists of the past, influences in the present, and an interactive envisioning of a trans-inclusive and affirming future. Food provided. Assistant Professor Candice Hargons of the UK College of Education leads a discussion on how identities intersect and impact individual life experiences. Lunch provided. In Milwaukee, Wisconsin, Dezjorn is a pretty boy. After modeling from infancy, his mother struggles to understand why her child wanted to become a man. Even as he became a transgender public figure, he hid his gender identity from his mom. Now they are trying to understand one another before it’s too late. This documentary addresses family acceptance and social transitioning. Why are Trans People Dying in the Age of Celebrity? A workshop on the increased visibility of trans women of color juxtaposed with increased awareness of harassment and assaults enacted towards them. Join the UK Counseling Center and student organization GSA for a conversation on maintaining authenticity in unsupportive environments. Read, recite or listen to poetry written by, about or for transgender individuals and their experiences. Sixteen-year-old Billie's reluctant path to independence is accelerated when her mother begins to transition, and their time together becomes limited to Tuesday afternoons. Filmed over the course of a year, once a week, every week (only on Tuesdays) these unique filmmaking rules bring a rare authenticity to this emotionally charged story of desire, responsibility and transformation. More information on the film and trailer are available here. Friendsgiving is a time to celebrate in communities of support, get connected to campus and community resources, and learn about how housing and food insecurity impact UK and the greater Lexington community. Dinner provided. Honor the lives of those lost this year to senseless violence. Transportation provided, departing 7:15 p.m., from the Gatton Student Center.